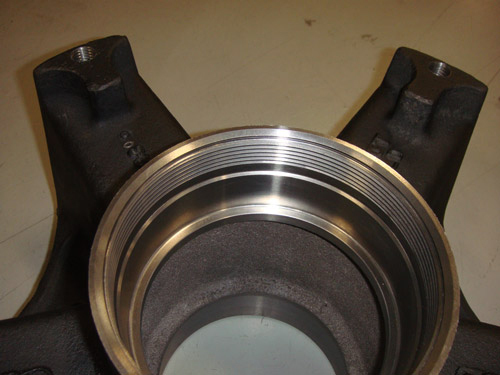 At Swihart Industries, Inc., we provide custom CNC machining of a variety of components including wheels, hubs, kingpins, rotors, and brake calipers for the transportation industry. 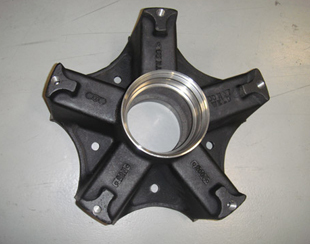 For this project, we machined 24" diameter six spoke rear wheels from ductile iron. 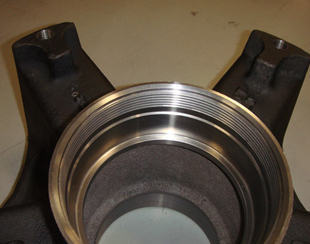 The wheels were both milled and turned using our precision CNC machining equipment. The finished wheel measured 23.62" in diameter by 12.33" in height and met dimensional tolerances of +/- .0015". Before machining and deburring, the wheels were painted using Sheboygan paint and sealed with black aqua casting sealer. Our customer in the commercial vehicle industry initially contacted us about this project due to our previous experience with similar parts. 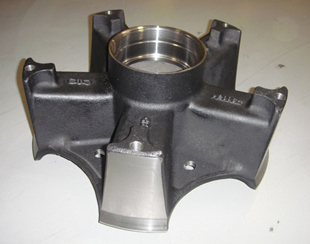 Because of the stringent requirements of the automotive industry, a detailed part pre-approval was required before full scale production could begin. We worked with the customer to expedite the pre-approval process. The part was laid out and inspected with our coordinate measuring machine (CMM) to ensure all critical dimensions were met. After part approval, we were immediately able to begin production. Our customer was so pleased with our quality and service that this one-time project has grown into a long-term business relationship. 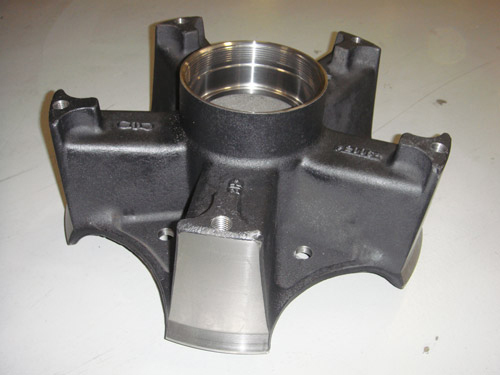 We now produce over 30 parts for this customer as part of a three year contract. For more information about this custom CNC machining project, see the table below, or contact us directly. 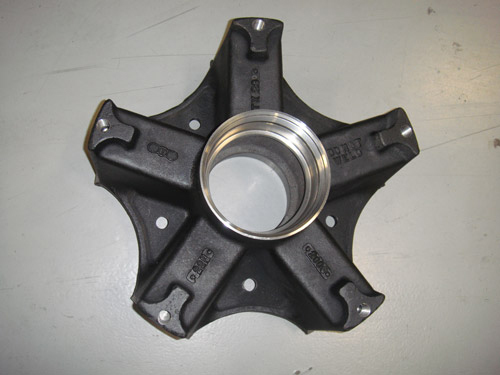 Ø 24" Six spoke rear wheels for a Meritor "W" series axle.